For the first time in its history the ORC European Championship will be held in Greek waters. The European yacht regatta will be held from July 3 – July 10, 2016 in Neos Marmaras on the beautiful Sithonia peninsula. This is the runner up to the ORC International World Championship that is organized to be held in Denmark 5 days later from July 15-23. The participating yachts will be based out of the marina at the Porto Carras Grand Resort about a 90 minute drive from the Thessaloniki airport. The headquarters and registation of the event will also be located in the Porto Carras Grand Resort. This is one of the biggest events that Sithonia has ever seen and will attract plenty of international attention so if you plan to participate or witness this yachting event, book your accommodation quickly. Nine races are scheduled. 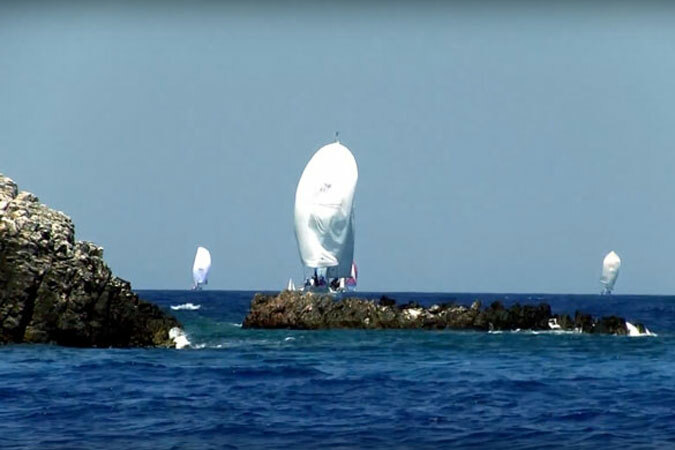 Two offshore races and 7 inshore races. Offshore races will have a duration of 10-12 hours for the slowest boat and inshore races 1.5-2 hours. Besides the daily yachting events in the Toroneos Gulf of the North Aegean Sea, there will be many events to enjoy locally such as golfing in the stunning world class 18 hole golf course at the resort. The closing date for valid Corinthian entries is June 24, 2016. For more information, contact the Nautical Club of Thessaloniki.